Arlington Public Library What to Read: Daddy Time at the Southeast Branch! 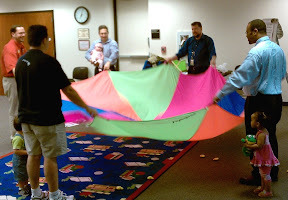 If you are a daddy, an uncle, or even a grandfather bring your little one to the Southeast Branch Library for our brand new fun and interactive story time with Mr. Bob and Mr. Eric. Daddy Time is for ages birth to 24 months only and is a definite must for the busy man who wants to spend some extra equality time with his little one. 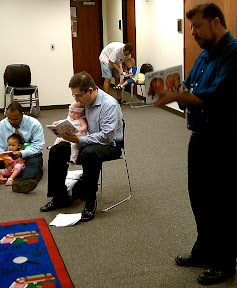 Daddy Time will be held on Tuesdays at 6:30 p.m. during the months of June and July. Last day for Daddy Time is July 20th, so don't miss out!